5 Fantastic Memories from the Moscow Ballet’s Great Russian Nutcracker! 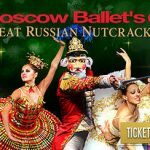 Thanks to a partnership with US Family Guide, my family was provided complimentary tickets to see the Moscow Ballet’s Great Russian Nutcracker. Opinions expressed are that of my own. 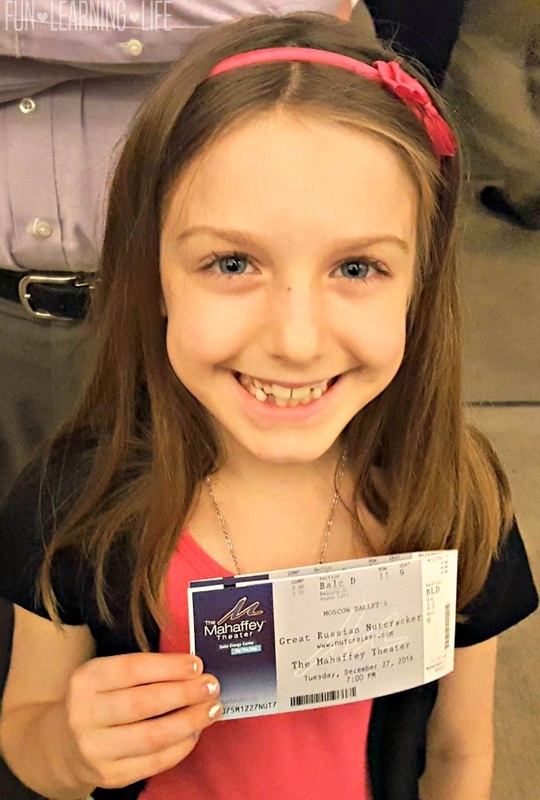 Back in November, I had shared that the Moscow Ballet’s Great Russian Nutcracker was Coming To Town and that I was excited to take my daughter. 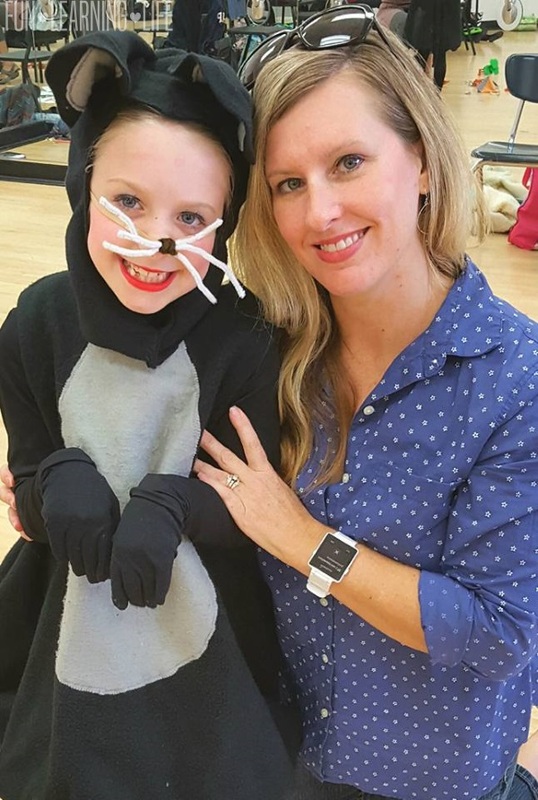 I had also mentioned that she has performed in a production for the past 3 years, but has never watched an entire show in the audience (She was a mouse again this year, as pictured below with “ME” Mom). Since this was also the same for me, I thought it would neat for our family to go to see another troupe’s performance. 1. Smile on My Daughter’s Face – Seeing my little girl’s expression as she held her ticket to enter the venue was priceless. She was also observing the other little girls and their Nutcrackers enter the theater. She kept pointing out all the interesting things she observed, and as soon as the production started she was completely focused on what was happening. 2. Stage Sets – There was a gorgeous backdrop in the beginning of the performance that had a room setting with a Christmas tree. 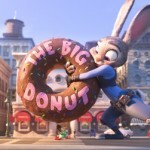 As Clara’s dream sequence began, the tree rose and grew bigger and bigger. In addition, there were large nesting dolls that were reminiscent of the Russian Culture. 3. Elaborate Costumes – It was hard not to be drawn to the dancers through their vibrantly colored themed period clothing. In addition, the actual Nutcracker and the Mice were really ornate looking and the dancers tutus were beautiful. 4. Talented Dancers – There was an amazing number of individuals involved in this Nutcracker. The 3 main dance routines that really stuck out to my family was The Arabian Dancers, the Couple in Dove Scene, and Snow Maidens. We were especially impressed by the acrobatics of the Arabian Dancers, it was like watching individuals in the circus. 5. Little Kids from the Community – According to the website, the Moscow Ballet actually uses children from the community to fill roles in the production. I know that had to be an amazing experience for the young dancers, and my kids were super impressed. Families love Moscow Ballet’s Great Russian Nutcracker! It’s the ultimate holiday tradition and creates memories for a lifetime. The production includes over 200 romantic costumes and 10′ tall playful animal puppets; shimmering colorful, backdrops splashed with 3-D effects; life-sized Matrushka (Nesting) Dolls and a puppet show for shadowing the Nutcracker Story at the opening Christmas Party. During the battle with Nutcracker Prince and the 3-headed Rat King, a golden cannon shoots roses! In the Magical Snow Forest an authentic Russian style Troika Sleigh, known as the fastest sleigh in the world, is escorted by Father Christmas (Ded Moroz) and Snow Maiden (Snegurochka) on their way to Act II. The Great Russian Nutcracker is known for its dedication to world peace with Act II named the “Land of Peace and Harmony.” The first scene of Act II features a stunning “Dove of Peace” with a 20′ wingspan and danced by 2 dancers each with one feathered wing. 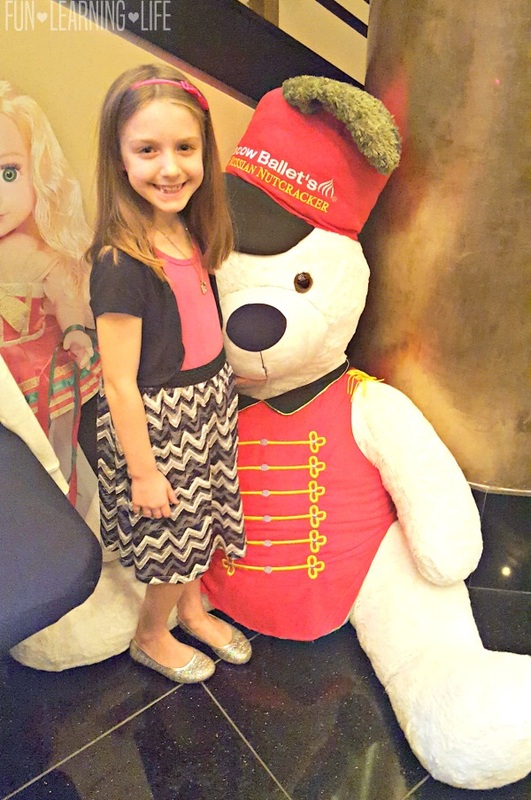 All ages feel the spirit of the season at Moscow Ballet’s Great Russian Nutcracker! Look for the return of the Moscow Ballet’s Great Russian Nutcracker in late in 2017! I can wait to see this amazing Ballet again with my family next Winter! 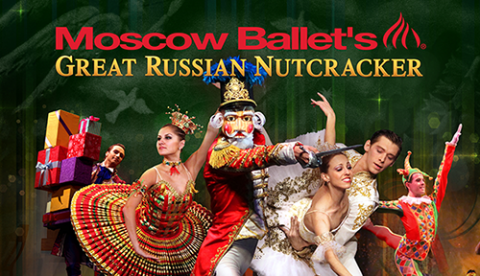 Moscow Ballet’s Great Russian Nutcracker is Coming To Town! Save 15% Now With A Promo Code! 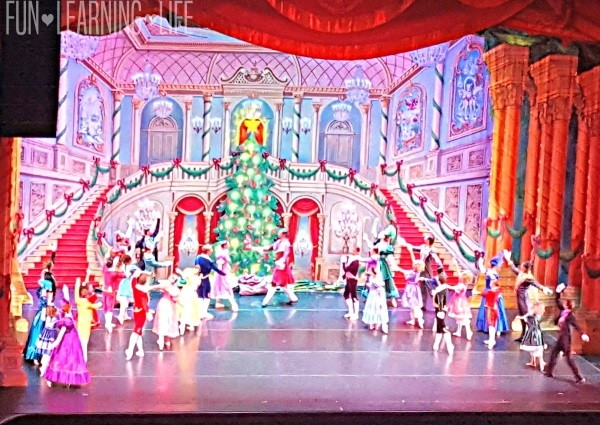 Dear Carlee, Thank you for going to see our Great Russian Nutcracker in Tampa Bay this December with your family and for the article. 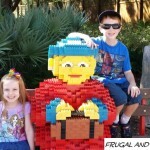 We are glad you and the family had a great experience. If your daughter (so cute, what a smile!) would like to perform with Moscow Ballet in our "Dance with Us" program she (or you) can sign up for the newsletter (link is top right side of home page for nutcracker.com) and we will notify her when and where the auditions are for Tampa Bay. Judith Johnson School of dance is the Moscow Ballet Host Dance Studio for Tampa Bay. Thank you again and we hope your daughter joins us on stage next year!